Thumbnail photo (displayed on the Roster page). For best results, thumbnail photos should be 50 x 50 pixels. TeamSnap will automatically crop and resize uploaded images to meet these specifications. Full-size photo (displayed on the individual player page). For best results, full-size photos should be 200 x 260 pixels. 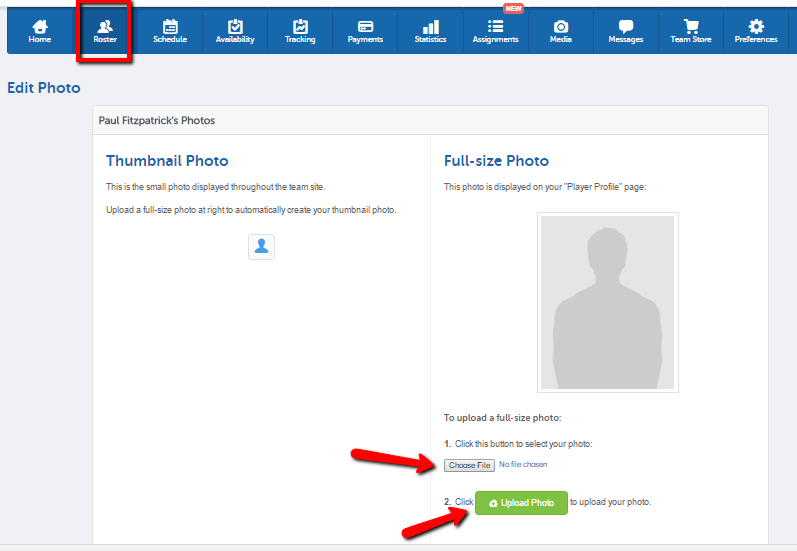 TeamSnap will automatically crop and resize uploaded images to meet these specifications. A generic image will be used instead. This action is currently not available on the iOS mobile app. You will need to replace the photo by taking a new photo or selecting one from your camera roll.